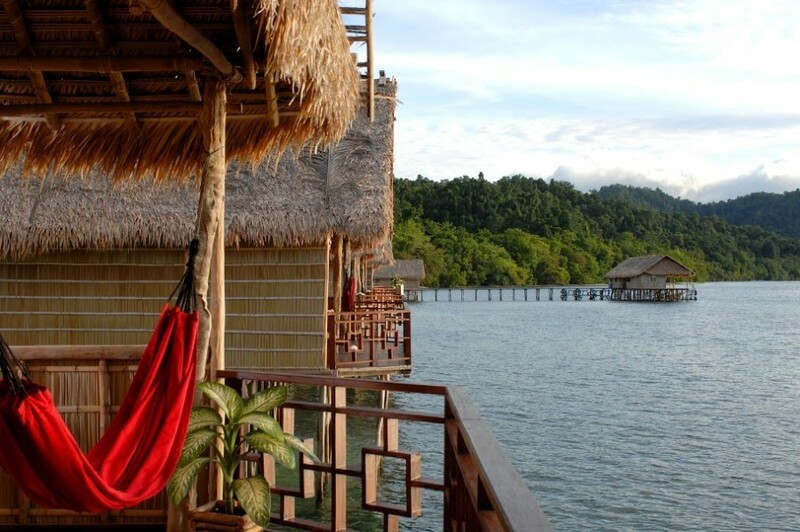 Our local architectural inspired water bungalows with essential facilities are built on stilts and made with traditional materials from Raja Ampat. Featuring a total of 16 bungalows with spacious verandas overlooking the turquoise house reef and the Pacific Ocean. This package is for divers. Overlooking the ocean with waves lapping gently underneath are our Superior Over-Water Bungalows. These sturdy, traditionally built bungalows are roomy and quaint, with natural ventilation and shade from the locally-sourced, sustainable materials used in constructing these rooms. Every bungalow has a private bathroom as well as a verandah* that gives you a fantastic view of marine creatures swimming by and beautiful sunsets in the evenings. The reefs of Raja Ampat have long been feted and extolled. The region is known to be one of the most biodiverse in the world, and at least 75 percent of all coral species in existence can be found in Raja Ampat. The marine life is equally spectacular, and the range of creatures from schooling manta rays, to minute, pipefish and seahorse species, turtles, eels, cuttlefish and sharks, including the famous wobbygongs. 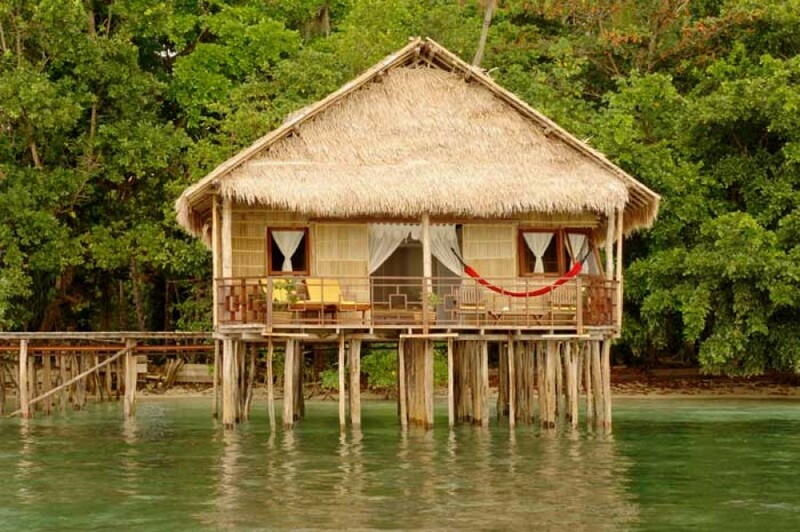 Stay at Papua Paradise Eco Resort to enjoy the beauty of Raja Ampat. Our local architecturally inspired water bungalows with essential facilities are built on stilts and made with traditional materials sourced locally. Featuring a total of 26 over-water bungalows (10 Deluxe Rooms & 16 Superior Rooms) with spacious verandas overlooking the turquoise house reef and the Pacific Ocean. 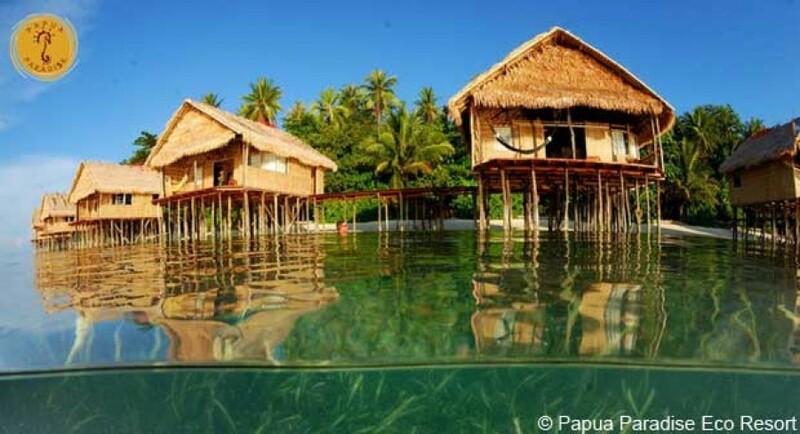 "Divine paradise in West Papua"
"Wonderful retreat away from civilization"
"Raja Ampat as its BEST"